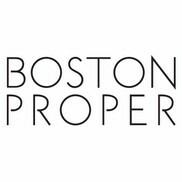 We're not from Boston, and we're definitely not proper. But we are unexpected, and have been for 25 years. From day one, we've been committed to and inspired by the women we dress—women who are fearlessly feminine, distinctively chic and who possess the poise and confidence to wear it like no one else.